It was a crumbling city, like so many others. But in Hartford five gifted young men, who met as high school athletes, promised their lives to the hometown that shaped them even as it was coming apart. They intended to go far. They would, they pledged, bring back college degrees and commit themselves to living and working in Hartford. This is the story of those five men and how they kept, or broke, that promise—told by a writer whose own family history and departure are also part of Hartford’s struggle. It is a story of hope and heartbreak; love, sacrifice, and murder; big-time college football and police brutality; a drug sting that fells a high school coach; and, finally, a reunion of friends who have learned how hard it is to honor the past and live for the future in a place like Hartford. Through it all Michael Downs comes to terms with his own decision to leave his hometown and abandon his ailing grandparents to a city that shows little mercy. His is very much a narrative of our nation of migrants and immigrants, where we must forever ask: What happens to those we leave behind? And how can we make peace with ourselves when we can no longer help the places we once called home? 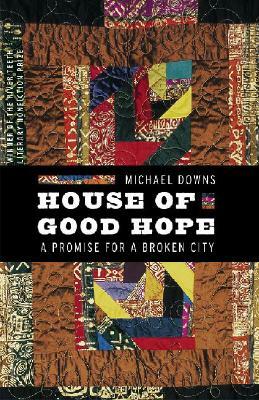 Michael Downs is a writer and journalist.